Steven was referred to DEAP in September 2017 by his Work Coach to our Recruitment & Outreach Project to see what help we could provide. Steven had been out of work for about 8 years and was on ESA for the majority of that time. He came across as confident, open & easy to talk to but had difficulty in being able to secure employment. He advised us that he had anger management issues and that may have an impact sometimes on how he comes across. In discussion with his Work Coach we agreed to work with him initially on a one to one basis. 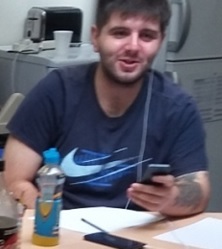 After a few weeks, Steven progressed and registered on DEAP’s Employability Fund Stage 4 Programme in October. 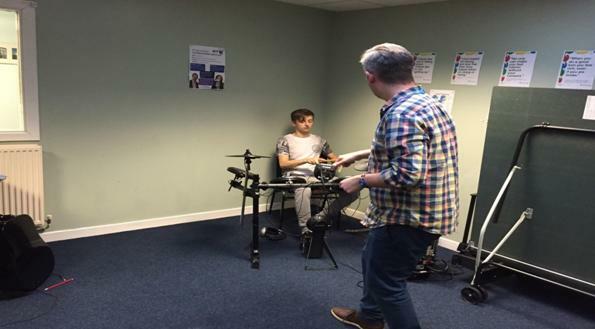 His recruitment consultant Tom supported him to access a work trial with a local employer, Kartstart in Kirkcaldy. 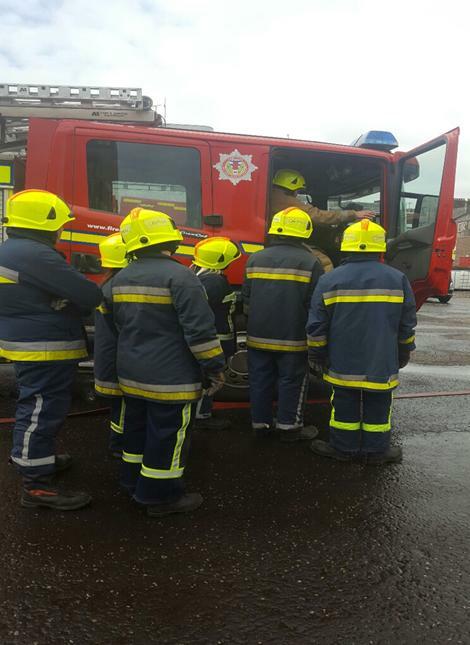 Despite Steven’s health problems he felt straightaway this was an ideal job for him. His love of the job helped him prove to the employer what an asset he could be to the company. Steven excelled in a short time (only 3 weeks) in his work placement he was offered a full time permanent position and started in December 2017. As part of our commitment to aftercare, Tom from DEAP continued to support both Steven and his employer over the first 6 months of employment. He still loves the job and hopes that progression within the company will be possible for him. He is grateful to DEAP for their support and to Kartstart for the opportunity they gave him. Stephanie was referred to DEAP Job Club held in Glenrothes Jobcentre in early March 2018. She had been unemployed 11 years during which time she has been a single parent, bringing up her 2 children. She had little self-esteem or confidence and had difficulty in knowing where to start in her pursuit of returning to the labour market. 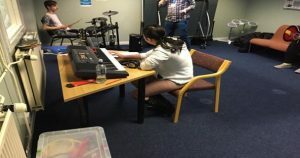 Through initial assessment it was recognised that Stephanie required one to one support to build on her confidence and improve her employability skills to help her achieve her goal of employment in the Care Sector. 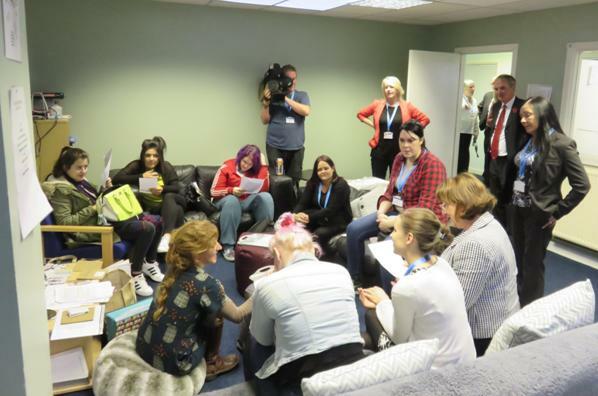 After a short time she progressed to gain care accredited qualifications and her PVG in preparation to gain employment and her confidence increased significantly. With the support of her Recruitment Consultant Tom, she applied for jobs within the Care sector and was soon invited in for interview with a local care home. She was successful and was offered a position as Care Assistant. She started her new Job in June and is still there and enjoying it. She describes her job as: “extremely rewarding”. Tom and the rest of the team are delighted with Stephanie’s achievement, particularly after being away from the labour market for such a long time. We wish her every success for the future. I am a 27-year old male who was unemployed for 9 months. I had previously left a highly stressful job that I had spent years training and working for. My entry back in to work was difficult due to high levels of anxiety stemming from my previous employment and my unhappiness at being unable to find reemployment in a timely manner. In my journey back to work I was invited to many interviews but was unsuccessful due to my lack of both confidence and conviction. The biggest step I took in getting back to work was recognising that I needed help. I received an email from DEAP though the Job Centre explaining that amongst other things DEAP aids with interview techniques and CV creation. Upon reading this my thoughts were: “Might as well give it a shot” – this was a fantastic decision that led me back to work. When entering DEAP for the first time I was overwhelmed by the support I was given. I could tell instantly they really cared about helping me. They showed me better ways to approach interviews; gave me resources to help with difficult questions; answered all my questions professionally and honestly, and gave me the confidence to believe in myself again. With this renewed confidence I was able to have a more positive mentality going into my next interview and was ultimately successful in finding full time employment. Thank you DEAP for believing in me and providing me with the tools and confidence to transition back into work. Ryan Paul, who has also achieved 100% attendance. He is supportive of other people at DEAP and has gained skills in volunteer roles. 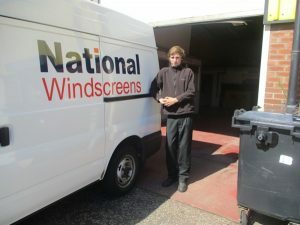 Ryan is now employed as a trainee with National Windscreens and is about to take his driving test. Jordan Millar is a peer support to other young people some with complex issues, he assists with them in sporting activities, art sessions and within the centre to progress and achieve skills and goals. Jordon is an excellent artist and has been offered different roles in the community working on art projects and supporting others. Adam Pettigrew, Darren Mitchell and Dylan Higgins attended an 8-week cooking course in DEAP as part of the Next Steps Project facilitated by Craigowl. They gained team participation skills together with food preparation, hygiene and cooking. 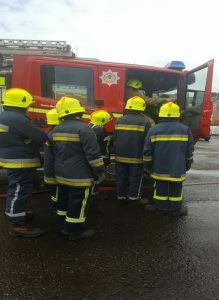 They all worked extremely well together and will progress onto REHIS Certification. Daniel Brownlie has just started the course and is looking to start working towards his certificates. This year has seen the growth in two young ladies, Terri Bonella and Buthy Al-Abry from leaving school they came to DEAP in Dundee and joined the Next Steps Project. The girls took part in sessions that worked on their softer skills including communication, confidence and time management to list a few. Staff acknowledged their maturity and willingness to excel therefore they were progressed onto the Employability Fund where they completed two SQA qualifications and underwent employability training to prepare them for employment. Terri went out to Little Enstine’s Nursery, initially on a placement, she took to the role very naturally so much so that after a month she was offered a Modern Apprenticeship. She has been there for 6 months doing very well and is constantly undergoing training which is assisting to develop and build on her knowledge and skills. She hopes to qualify in this sector to become a fully trained Nursery Assistant. Buthy initially wanted to work with animals so we sourced a work placement in a dog groomers, however, she did not enjoy it, therefore, she worked with staff to find alternative work placements. Staff contacted Nurseries and Little Enstine’s Nursery was able to take her as a placement following the success of Terri, and subsequently the nursery staff offered Buthy a Modern Apprenticeship too. 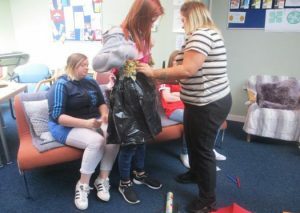 Both girls have matured and grown and are on the path to become qualified in the Child Care sector and DEAP staff can’t be happier for them both. 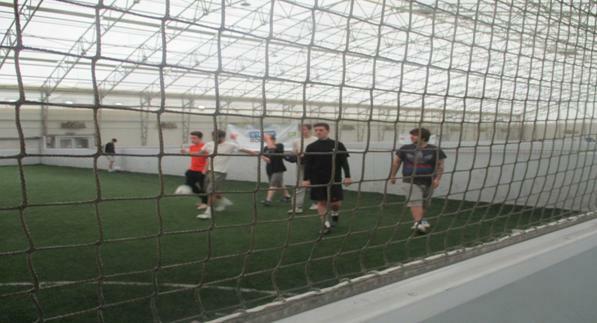 This month two of our Employability Fund clients progressed to jobs. Terri secured a Modern Apprenticeship at Little Einstein Nursery after finishing a short placement. Ryan Paul also progressed to a trainee position at the National Windscreens after completing 1 month work experience placement. Other local employers have also offered work placements at B& M Stores Balhousie Care homes and local retailers. Attendance at Next Steps has increased to supporting on average 30 young people daily with many repeat referrals from schools. 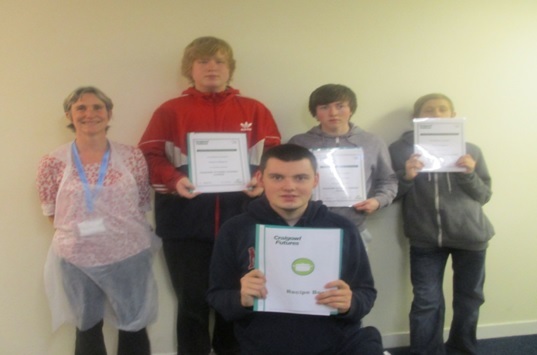 Many of our school pupils are working towards achieving SQA Employability award and some have identified to take part in XL Awards in collaboration with Prince’s Trust’s Fairbridge Programme.